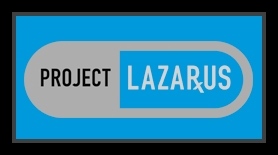 Project Lazarus is a secular, non-profit organization that was established in 2008 with the aim of preventing drug overdose throughout North Carolina. The organization accomplishes this by providing technical assistance to clinicians and community groups, working to build community coalitions, and helping to develop overdose prevention programs. 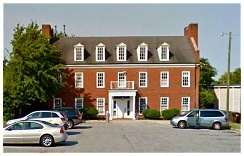 The Project Lazarus website (www.ProjectLazarus.org) contains important data on overdose trends in North Carolina as well as information tailored for patients & families, law enforcement, NC policymakers, and medical professionals regarding the role they can play in reducing the risk of overdose deaths across the state. According to the Centers for Disease Control and Prevention, there were 36,450 overdose deaths in the United States in 2008. Of that number, opioid pain relievers were involved in 14,800 of those fatalities. Many families have been impacted by the needless loss of loved ones trapped in an opioid addiction. Project Lazarus is committed to making a difference and reversing the epidemic loss of life due to opioid overdose. In 2013, Governor McCrory signed into law the Good Samaritan bill which provides individuals with limited immunity from prosecution for drug offenses when obtaining medical help for someone who has overdosed. Due to the good work of Project Lazarus and the NC Harm Reduction Coalition, many more people are now aware of the opioid problem and are in a position to do something about it. Let us all continue to support these kinds of life saving initiatives. Addiction is a fatal illness that can affect any family. Education and community awareness are key ingredients in making a lasting difference.